Earn up to 2,685 reward points. Well-built entry-level banjo with accessories. 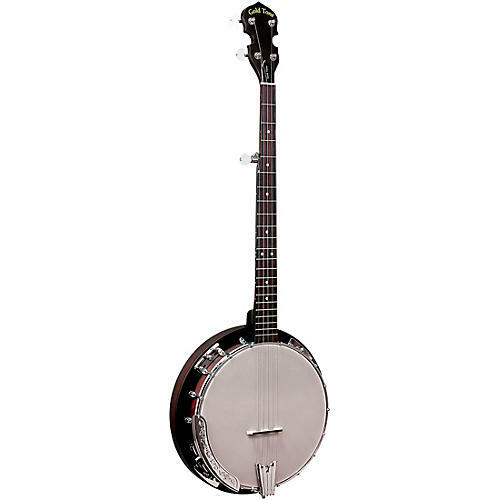 Entry-level banjos must be designed for easy learning, and the Cripple Creek 50 with Resonator and guitar-style tuners is just that. Gold Tone has taken their popular CC-50 model and added a full-walled resonator to suit the beginning bluegrass banjo player. Features include a hard maple neck and rim, a convertible mahogany resonator, a geared 5th string tuner, single coordinator rod, Straightline tailpiece, rosewood fingerboard, and a brass tone ring. Completely setup at the Gold Tone Factory in Florida. This is the left-handed model. The CC-BG includes a light-duty gig bag for easy transport. Get started playing banjo with this fun instrument. Order today!